We have all types of Exeter shops to rent displayed here at MOVEHUT, so we're sure we have one that's right for you. You might be looking for a retail property in Exeter, which you are hoping to launch as a specialist bookshop in Exeter. You might be hoping to find a retail property in a prime location for a sandwich shop. Either way, the property listings here at MOVEHUT will make your shop property search in Exeter go without a hitch. 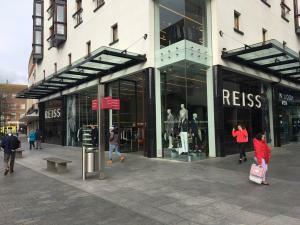 There are a number of questions you shouldn't neglect when hunting for a retail commercial property to rent in Exeter. Clearly, one of the first questions you need to address is how much space your business will need. The other vital question you should be asking yourself is what impact the location of the building might have on your shop. You will discover your perfect retail property at MOVEHUT, regardless of what your chief considerations may be. Often with a shop you may find it beneficial to consider additional costs before committing to let. You might have various running costs that you will need to consider when looking for a property in Exeter, such as the heating, lighting and electricity. When you get to the point where you have a good idea of your additional running costs for a retail property in Exeter, then get your search started with MOVEHUT. If you're planning a search for shops to rent in Exeter, considering a few factors in advance can save you time and worry. You should be certain that the property is large enough to accommodate your business, and at the same time you can avoid having to move again in the near future if you allow for the growth in Exeter. So before browsing the fantastic listings at MOVEHUT, taking a moment to consider these factors will increase the chances of finding the right shop to rent in Exeter. We would always advise that you book a shop viewing before agreeing to rent. One key element is that your property in Exeter is in a suitable location, and is situated in the right area. Ideally, you want to confirm in person that all the facilities in any shop you view are working, like the water and the electricity. With these tips in mind, arrange a viewing and make your shop renting process easier with MOVEHUT. 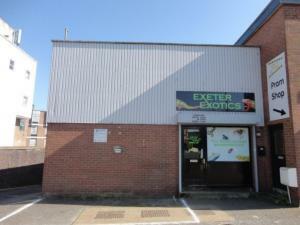 Finding the right location for your shop is a very important decision when looking to rent in Exeter. We believe that the property location can have a massive impact on your business, as you will want a location that suits your retail business in Exeter. So to find a shop in Exeter in a location that's right for you, check out the great selection available to rent at MOVEHUT. If you rent a shop in Exeter you'll find a range of benefits you may never enjoy online. One of the most significant advantages of selling your products using a shop property in Exeter rather than online is that the fact that you can show you are financially suitable thus trustworthy. So MOVEHUT's commercial property listings can be just the beginning of these great opportunities for your shop. Why not begin your search for a shop to rent in Exeter with MOVEHUT, and see how quickly we can help. You can browse in a number of ways, for instance, by property type and size to filter and refine your search. So get your search for a shop to rent in Exeter started with MOVEHUT, and let our fantastic features provide you with the right results.